In 1956 the hospital opened its doors as a dedicated and highly specialised children's healthcare facility. It is a living memorial for soldiers who died in WWII. From all nine provinces and from all over Africa, children are referred to the institution to receive comprehensive specialist paediatric services. It is a referral hospital - patients are referred from clinics and smaller hospitals - before being admitted to the tertiary institution. The hospital is active in paediatric outreach and support programmes across South Africa. It is a centre of excellence for the training of all categories of child health professionals. 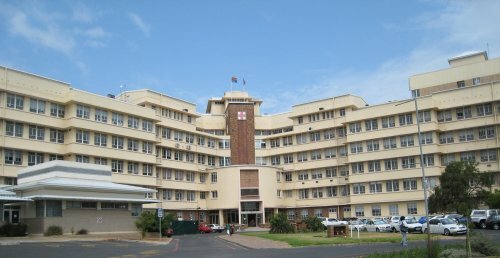 Red Cross War Memorial Children's Hospital is regarded as South Africa's leading centre for post-graduate specialist paediatric medical and surgical training. The Hospital has a staff complement of 1100, ranging from academics, doctors and nurses to professions allied to medicine, clerical and non-professional staff. Local undergraduates and post-graduate students from around the world receive training and experience in the wards and clinics. The hospital has academic links to the University of Cape Town's School of Child and Adolescent Health, the University of the Western Cape Dental School and the University of Stellenbosch.